My how time flies! It’s been twenty years since the publication of our book The Experience Economy: Work Is Theatre & Every Business a Stage, with books printed in late March 1999, for availability at bookstores (and Amazon) in early April of that year. And what a twenty years it’s been! In that first edition of the book, we wrote about the “emerging”, the “nascent”, the “coming” Experience Economy. 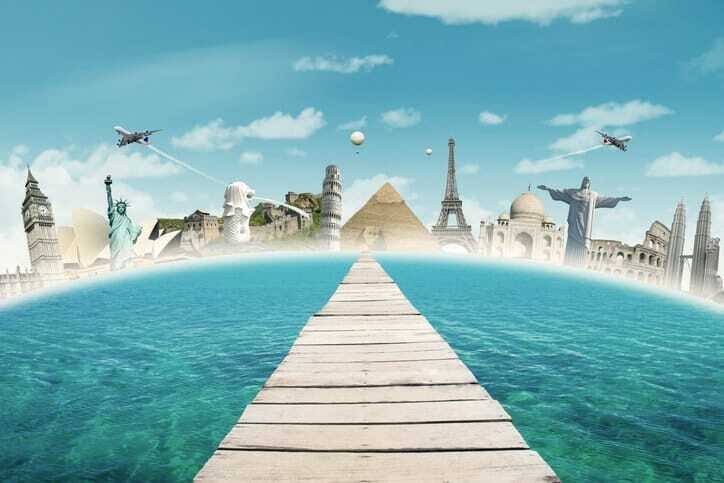 Now we understand that it is fully here – all developed nations are today in the Experience Economy. When the book first came out the most gratifying comment we received was something along the lines of “Thank you for giving me the vocabulary to describe what it is I do.” Today, the most gratifying comment is. . . exactly that same statement. So very many people today have roles on the business stage involving the designing of experiences, whether internally for their companies or externally for their clients, but even now – twenty years after The Experience Economy (the original of which is still available to this day on Amazon.com, even after the Updated Edition was published in 2011) – not every such person realizes that they are ‘experience producers, directors, designers, or stagers’. Many people also say how prescient we were to identify the Experience Economy so many years ago – and as shown in an earlier Thoughts post, ‘The History of the “Experience Economy”’, we discovered (not invented!) 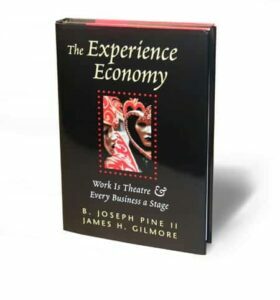 the Experience Economy 25 years ago, with several earlier publications before the book came out. We never considered it prescient, however, but a matter of proficient observations, pattern recognition, and framework building. Anyone who looked closely enough two to three decades ago could have also seen that experiences were a distinct economic offering (and many were close to doing so), and once that is clear, you can see it everywhere. The Experience Economy was not to be denied, so The Experience Economy had to be written. Which leads to another favorite sentiment people say: how much reading the book changed how they saw the world, changed how they approached their work and their businesses, and how much it influenced what they did as individuals within companies to design, create, and stage their own experience offerings for customers. We would likewise love to hear from you! When did you first encounter The Experience Economy? How did you react to it and share its thesis with others? What have you done differently, as an individual or company, as a result of embracing the Experience Economy? Please feel free to comment here, send an email to PineGilmore@StrategicHorizons.com, or if you prefer, comment on this LinkedIn Post. Here’s to seeing what industries will be transformed and what new genres of experience will be innovated in the next twenty years of the Experience Economy! Joe’s and Gilmore’s work is as profound today as it was when first published . . . this is timeless wisdom that will forever impact the world of business.